Do you love Mount Rainier National Park? 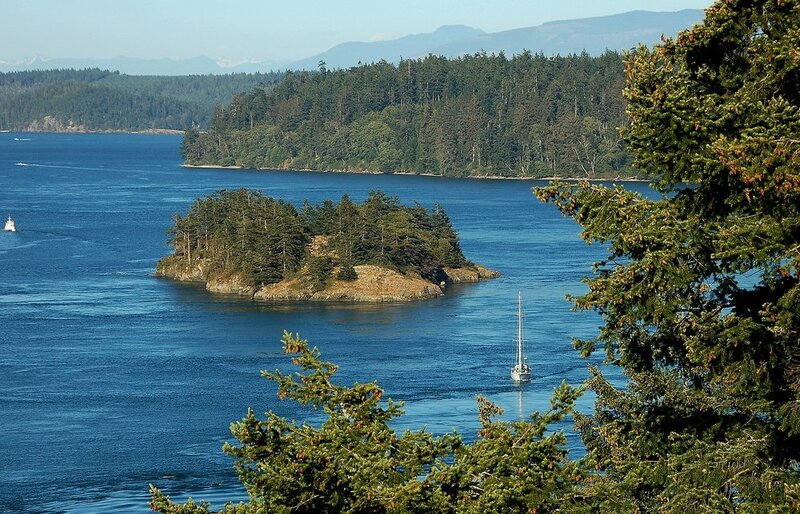 Perhaps Deception Pass State Park is your family’s favorite destination. Or does Spokane’s Riverside State Park draw you to its trails? Or have you plunged into Tacoma’s Kandle Park Pool? Give thanks to the Land & Water Conservation Fund (LWCF), which has supported parks and trails in every part of our state. The fund, the country’s most important conservation program, is set to expire on Sept. 30 unless Congress acts quickly to renew it. Washington Sen. Maria Cantwell is one of a group of bipartisan leaders from the U.S. Senate who are calling attention to the need to protect LWCF. We are grateful for Sen. Cantwell’s leadership in support of this incredibly important program and for the bipartisan legislation she introduced last spring to permanently authorize and fully fund LWCF. Nature Conservancy CEO Mark Tercek spoke up alongside Cantwell and four other lawmakers in support of LWCF during a news conference on Capitol Hill today to mark the 100-day countdown to expiration. With Deadline Looming, Lawmakers Call for Permanent Reauthorization of the Land and Water Conservation Fund Senator Maria Cantwell along with fellow members of the House and Senate highlight the looming expiration of #LWCF on September 30th, unless Congress acts to #SaveLWCF. The Senators will call for the permanent reauthorization of the Land and Water Conservation Fund, one of the Nation’s oldest and most successful conservation programs, which operates with no taxpayer funding. The Land and Water Conservation Fund has protected parks, trails and ballfields across Washington in its more than 50 years of existence, ensuring that more people across our state can enjoy our public spaces, no matter what we like to do outdoors. Enjoying trails near the city of Roslyn. Photo © John Marshall. To explore how LWCF touches down in all corners of Washington state, check out the LWCF 50th anniversary report by the Washington Wildlife & Recreation Coalition and Henry M. Jackson Foundation at the top of the Jackson Foundation’s Library page. For a broader view of the good LWCF has done across America, see the national anniversary report, 50 Years of Conserving America the Beautiful. Urban and rural areas alike — from the Sacagawea Heritage Trail in Benton and Franklin Counties, to Olympic National Park, to Spokane’s Friendship Park — have benefitted from LWCF dollars. And notably, LWCF is not taxpayer-funded. Instead, it’s is supported by fees paid by companies drilling offshore for oil and gas, making LWCF a truly great deal for Washingtonians and all Americans. The program was created by Congress in 1964 with overwhelming bipartisan support (passing the Senate 92-1), a testament to the universal popularity of conserving outdoor spaces for public enjoyment. The program expired in 2015 but was resurrected less than three months later with a three-year reauthorization in a federal spending bill. The 2015 reauthorization expires this fall, but the need to protect our lands and waters for the enjoyment of future generations is greater than ever. We had a great meeting with Sen. Maria Cantwell in 2017 and thanked her for her tireless work for permanent reauthorization of the Land & Water Conservation Fund. Photo © The Nature Conservancy. We have consistently shared this message with our members of Congress, many of whom are tireless leaders in the effort to permanently reauthorize LWCF. 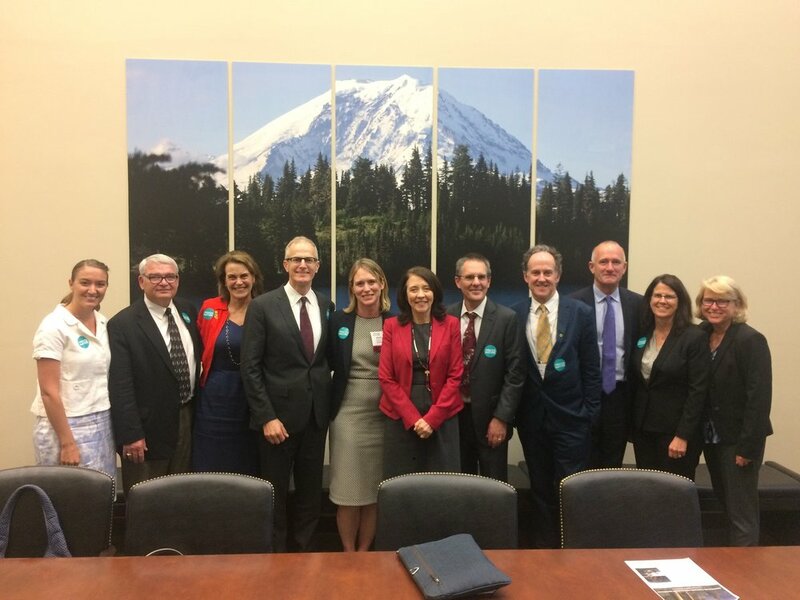 Just a few weeks ago, when Washington state staff and volunteer trustee leaders visited Washington, D.C., for Advocacy Day, we took the opportunity to talk with our members about this top priority for nature and people, and to thank many of them for their outspoken support for LWCF. Today, Sen. Cantwell, ranking member of the Senate Energy and Natural Resources Committee, launched the 100-day campaign to Save LWCF alongside Republicans and Democrats, once again underscoring the fund’s widespread, nationwide popularity. Watch her remarks here and add your voice to the social-media chorus calling on Congress to #SaveLWCF!